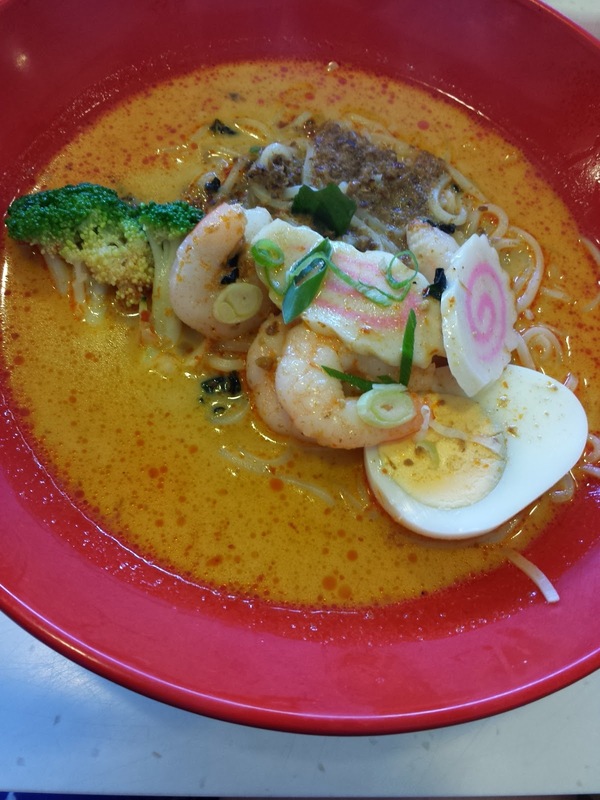 She ordered the Laksa Udon but changed the prawns to Chicken. It is definitely a better choice with Chicken. The normal prawn Laksa Ramen for me. I felt the noodles were too soft for me, not very springy like how Ramen noodles should be. The prawns were not exactly fresh either. 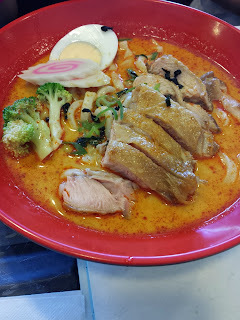 The laksa gravy however definitely was good and would satisfy anybody with laksa craving. It has so much more potential than haphazardly thrown together with not so good ingredients like the noodles, prawns, broccoli etc. Will I return? I doubt it. Even the sushi train looks unappealing.